Pratima is one of the very few visionaries, who recognized the issues around provision of safe access to basic services such as water, sanitation, social housing, waste management etc., two decades before today’s focus on urban planning and development. Her knowledge as an architect and her passion for ensuring equitable distribution of rights and resources to all leading to an upgraded lifestyle for the urban poor led her to establish Shelter Associates in 1993. Since then, Shelter Associates as the name suggests, has been providing safer and cleaner environment that retains the community spirit by enabling access to housing (which has impacted over 9,000 people) & sanitation (which has impacted over 3,60,000 people directly & indirectly). She has been a pioneer in creating and using spatial data to make informed decisions and address the gaps in service deliveries more accurately. To date SA has covered over 2,25,000 households through its poverty mapping efforts across urban slums in cities of Maharashtra thus promoting evidence based practice. A recipient of Aga Khan scholarship, and an expert in ‘Building Design for Developing Countries’, through her Masters-in-Architecture from London based Bartlett School of Architecture and Planning, Pratima has impacted over 3,60,000 people by providing safe sanitation through their One Home One Toilet (OHOT) model. The data driven, community centric and cost sharing model, has led to over 13,000 household toilets facilitated directly in slums of Maharashtra in the cities of Pune, Kolhapur, Sangli, Navi-Mumbai, Pimpri Chinchwad and Thane. In December 2009, Google Earth recognized her efficient use of Google Earth technology towards poverty mapping, and thus acknowledged her as 'Google Earth Hero', which made her the only Indian to receive ‘Google Earth Hero Award’ and she has also been identified by BBC as a leading ‘Slum architect of India’. In the last 5 years, she has won over 13 awards including, ‘NASSCOM Social Innovation Forum 2017’, award, recognized as a Social Entrepreneur by Ashoka Fellowship, India Sanitation Coalition- FICCI’s special recognition for innovative use of data for delivery of sanitation, ‘Amazing Indian’ by Times Now and the HUDCO award for sanitation solutions jointly with the Pune municipal corporation, to name a few. She is also the recipient of the IIMM award in the ‘Unsung heroes” category-July 2018. Pratima speaks and presents her work extensively across the world at universities, to governments and other social sector organizations, including policy discussions and advisory role in government programs such as the Rajiv Awas Yojna (RAY). She has been a vocal advocate of OHOT model on various platforms such as ‘National Stakeholder Consultation Workshop’ in Delhi on Strengthening Water and Sanitation in Urban settings of India, ‘Geospatial World Forum 2017’, Asia Pacific Housing Forum- 6 held in Hong Kong by Habitat for Humanity International on 'Bringing Design into the construction of sustainable communities’, IIA Odisha Chapter’s NATCON 2017 held in Bhubaneshwar, ‘State of Housing Conference’ in March 2018, etc. Pratima has pioneered her approach by using concepts like multi-stakeholder consultation, user-centric design and participative governance. An architect turned into an influential social entrepreneur, Pratima has successfully empowered communities and has elevated quality of life for urban poor in India! 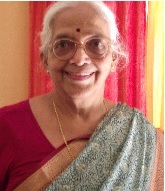 A graduate in psychology and economics and post-graduate in sociology, Lata has been involved in environmental campaigns in Pune since the 1980s. She was a pioneering champion of community-run garbage segregation and vermiculture in Pune, and played a pivotal role in a successful campaign to stop the Mumbai-Bangalore highway from running directly through the city. Lata has been closely associated with other movements and organizations such as the Environmental Education and Research Center, WWF(World Wide Fund For Nature), and International Coastal Cleanup. After joining Shelter Associates in 2008, she has been coordinating as the Associate Executive Director. During SA's IHSDP project in Sangli & Miraj, she has been actively involved as Project Coordinator, post which she has been handling the Kolhapur operations of SA for it's sanitation and housing interventions to date. A graduate in home science graduate and education, Supriya was in the teaching profession for several years. 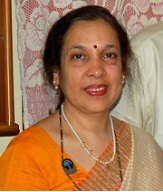 She is associated with a spiritual organization, Shri Ram Chandra Mission, and is one of the founder directors of Noble Agro-Vet Ltd.
A graduate in english literature and post-graduate in political science and history, Latika worked in the Indian Administrative Service (IAS) for several decades, holding important positions. She retired in 2001 as Vigilance Commissioner with the rank of Chief Secretary to the Government of Tamil Nadu. 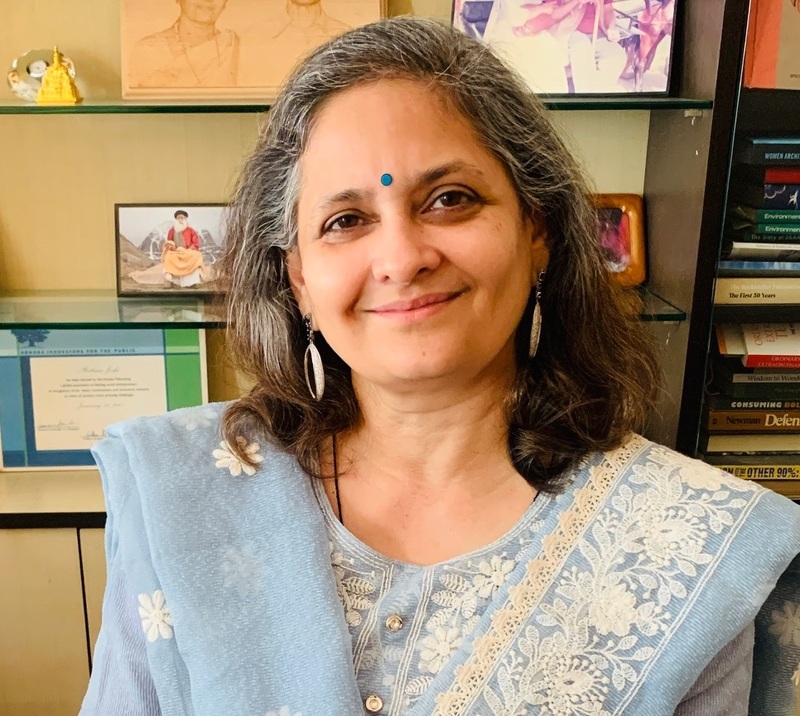 Nirmala Pandit has a doctorate in human rights and taught Human Rights and International Law in the post-graduate department of law at the University of Pune. 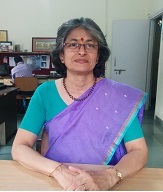 She has worked as: the Executive Director of the National Centre for Advocacy Studies, Pune; a Legal Officer for Asia Pacific in the International Commission of Jurists, Geneva; a Special Advisor to the High Commissioner of Human Rights on Trafficking; and as a member of a number of committees engaged in the drafting of laws related to women and children. She is associated with the Indiana University in Bloomington, USA and is a visiting faculty to the UN University in Tokyo. She has been associated with several government and educational institutions, national and international CSOs, and grassroots groups. She is also a trustee of Centre for Empowerment and Sakal Relief Fund. A graduate in electrical engineering and post-graduate in management, Vishal is the co-founder of DP Coalition, and a trustee of PROOF. He is involved in various urban issues including city planning, municipal finances, solid waste management, and shelter and livelihood for the urban poor. 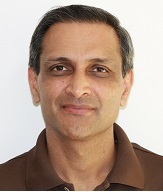 An MTech in Computer Science, Arun is the co-founder and CEO of Soft Corner, a software product and services firm. 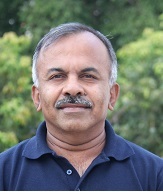 He is an active member of the Computer Society of India and has chaired several technical conferences. He has also taught at several educational institutions in Pune and is actively engaged with student activities.